Scheduling a dozen presenters from different parts of the world, each with their own busy calendars, was a challenging task, however we juggled things around until we finally got the 4D puzzle worked out. 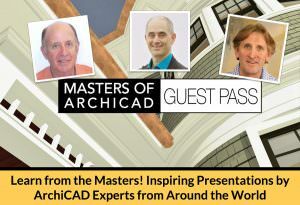 I’m pleased to note that we open and close the conference with distinguished members of our community who each bring a long-term perspective to the evolution of ArchiCAD, and even the practice of architecture itself. 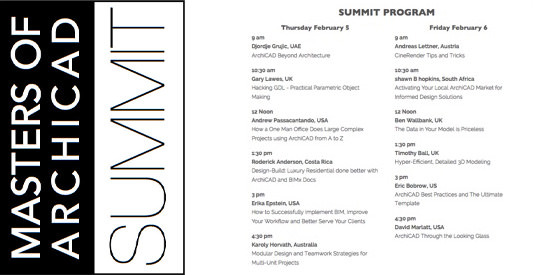 Djordje will talk about ArchiCAD Beyond Architecture, and look at how his use of ArchiCAD has evolved over the past two decades to include routine multi-disciplinary coordination and construction planning. We’ll close the conference on Friday at 4:30 pm with architect David Marlatt, former head of Graphisoft U.S. and VP of Marketing and Communications for Graphisoft worldwide in the 90’s. David’s visionary articles (including Architecture Through the Looking Glass, Architects in the Information Age, and Of Virtual Buildings and Real Architecture) were quite inspirational to me and to many resellers and users at the time. 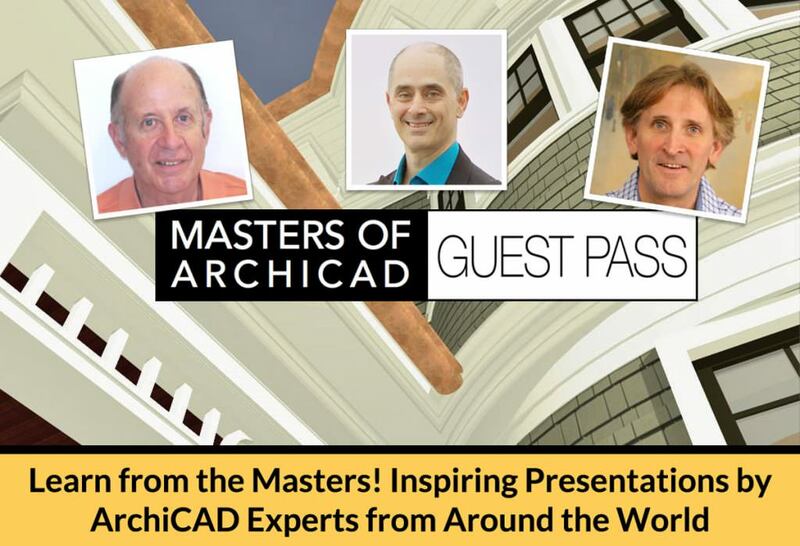 David will look back at ArchiCAD and the role of the architect through the Looking Glass to review where we’ve come from over the past 20 to 30 years, how far we’ve gotten, and where we may be going next. He’ll also show us some of his own projects, in which he achieves noteworthy energy optimization using ArchiCAD and analysis tools. I’ve been busy working with each Master, running through their presentation to work out the technical issues of broadcasting online, as well as giving them feedback to refine and focus their talks. It’s a very exciting and exhausting process, requiring very long hours. This is the biggest project I have ever undertaken, and I’m pleased to say it’s shaping up to be an amazing and inspirational event that we’ll all remember, and make use of (in terms of lessons learned, and potential unleashed) for a long time to come. The schedule is subject to change; be sure to check back closer to the opening of the conference.